Gettysburg, Pennsylvania, is a community with a rich heritage and a population of approximately 8,000. It is conveniently located in the south-central part of the state, only 35 miles south of the state capital of Harrisburg. It is just 55 miles from Baltimore and 75 miles from the nation's capital. Gettysburg College and a branch of Harrisburg Area Community College are located the community. In the 1760s, Samuel Gettys chose to establish a home and a tavern in the area because of its strategic location between Baltimore, Pittsburgh and Philadelphia. In the late 1850s, growth of the economy was spurred by the completion of a rail line from Gettysburg to Hanover. By 1860, Gettysburg was a growing and active community with hundreds of buildings and various industries including tanneries, shoe factories and carriage manufacturers. From July 1 to July 3, 1863, the Battle of Gettysburg was fought south of town. It was one of the largest battles staged during the Civil War. Five months after the historic battle, President Lincoln came to the site to deliver his famous Gettysburg Address. For the first half of the 20th century furniture manufacturing was a major industry in town. President Dwight D. Eisenhower retired to a nearby farm where he lived until his passing in 1969. One of the more prominent green spaces in Gettysburg is the recreational park, a 52-acre facility on west side of town. This well-appointed park features a football field, seven ball fields, two basketball courts and three playgrounds. There is also a hiking trail and a 20-station fitness trail for those looking for some good exercise. Gettysburg Recreational Park is also home to an amphitheater and a skate park. Gettysburg National Military Park is a prime attraction in the area. It attracts many visitors from throughout the country and the world who come to learn more about one of the key battle of the Civil War that occurred here. Residents and visitors alike visit the National Park Service facility that incorporates much of the original Gettysburg battlefield. There are a wide array of activities at the park, allowing local residents the possibility of repeat visits. From time to time, there are Civil War reenactments. During the spring, summer and fall, volunteer living history groups offer weekend programs. There's a self-guided auto tour, a battlefield guided bus tour and other opportunities to learn from knowledgeable park rangers. The museum displays more than 40,000 Civil War artifacts. Hikers will find a number of designated trails to explore and bicyclists can take to the park's various roadways. There are also special trails for horseback riding meadering throughout the park. Plans are underway to re-plant historic orchards and propagate native plants along the roadways and in the meadows. The rolling, wooded terrain of south-central Pennsylvania is ideal for championship golf. Imagine teeing it up on a par-three featuring a towering red rock cliff backdrop. That describes the third hole at The Links at Gettysburg. The devoted player seeking a true challenge will encounter large water hazards, undulating greens and narrow fairways. Regardless of one's score, the unique design and dramatic topography rewards players with memorable views. Cedar Ridge Golf Course another fine Gettysburg layout. It's a sporty, par-72 challenge measuring 6,371 yards from the longest tees. It's a great course on which to enjoy a relaxing round with friends and family. The Eisenhower National Historic Site preserves the one-time Eisenhower family farm. During his presidency, the farm served as a weekend retreat and a frequent meeting place for world leaders. The site is a tranquil location with a view of South Mountain and adjacent to the Gettysburg Battlefield. Visitors enjoy the working farm by taking self-guided tours down bucolic lanes that meander through pastures and cropland. The 700-acre facility includes grazing areas for cattle, farmland and prodigious stands of oak and hickory. The Sachs Covered Bridge is an excellent representation of the covered bridges that were once ubiquitous in this part of the country. The bridge was used by both Confederate and Union soldiers during the Civil War. It has the distinction of being the oldest covered bridge in the state. Every year, the Gettysburg area comes alive with an assortment of well-attended festivals, concerts and special events. One of the most well-known is the Gettysburg Bluegrass Festival, a semi-annual event held in May and August. For almost four decades, the festival has attracted a fine assortment of local and nationally-known acts to the Gettysburg area. In September, the Gettysburg Wine and Music Festival provides attendees an opportunity to savor wines from 25 Pennsylvania wineries. Live music fills the air throughout the weekend event. Gettysburg is not only known for the region's wineries - it's also the heart of apple country. In early October, the National Apple Harvest Festival features crafts, fine music and excellent food. For over half a century, the festival has offered attendees a wide variety of activities. There are antique cars and steam engines on display. Talented craftsman conduct demonstrations, and orchard tours are offered. Prospective home buyers relocating to this historic community will find hundreds of diverse properties from which to choose. You'll find classic, yet updated homes constructed over a century ago. At the same time, there are modern residences with desirable amenities in newer subdivisions. Many homes for sale offer multi-car garages, home theaters, gourmet kitchens and/or spacious decks. Those looking for estate-style homes on large lots or acreage will not be disappointed. There's also a fine selection of established, well-built three and four-bedroom residences on wooded lots. Gettysburg and the surrounding area offer residents a multitude of recreational opportunities in a region steeped in American history. There is much more to learn about the rewarding lifestyle provided by the community. We'd welcome the opportunity to share much more about all that Gettysburg has to offer. 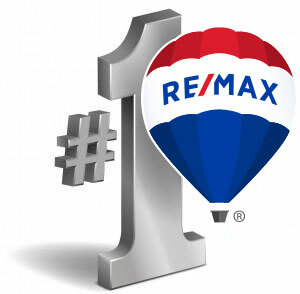 Please contact RE/MAX Quality Service Inc. today!